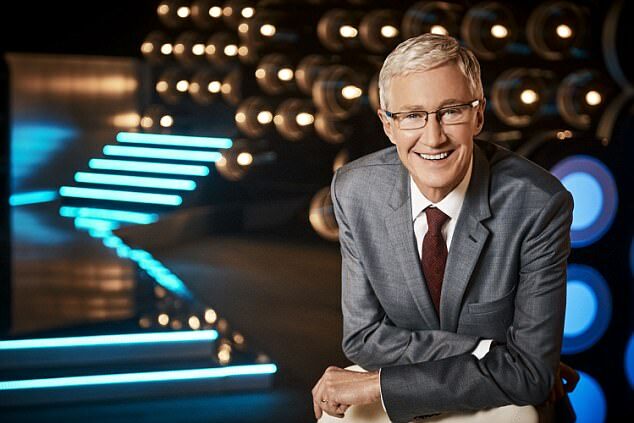 Paul O’Grady has revealed he is ‘terrified’ that he is being watched by aliens. The 62-year-old broadcaster claimed he is being observed by alien life after spotting a UFO hovering above his back garden and said he was having visions of waking up at night and coming face to face with ET. He told listeners to his Radio 2 show, Paul O’Grady on the Wireless, that he had seen a UFO hovering above his orchard at 2am. O’Grady said he had heard singer Kim Wilde talking about her belief in aliens and it made him realise that he was also being observed. ‘The Army say it’s not them sending flares up, so we don’t know, but I’m just terrified of waking up one night and there’s this thing at the bottom of my bed like ET. Miss Wilde, 57, has previously claimed that she watched a UFO ‘about 20 times the size of an aeroplane’ hovering above her back garden for two hours. The Kids in America singer, who has sold more than ten million albums worldwide, said she watched the ‘static and silent’ lights on the UFO in the summer of 2009 in her Hertfordshire garden. She said at first she thought it was Michael Jackson coming to haunt her. Miss Wilde was Jackson’s support act during his 1988 Bad tour and said she saw the UFO on June 26, 2009 – the day after he died. ‘I once saw a UFO in my back garden,’ Miss Wilde said last year. ‘It was the day after Michael Jackson died and I thought, “He is coming back to haunt me!”. It was on a Friday night and I saw two lights in the sky that were static and silent.